Learn how to make your own Asian or Western clothes, or upcycle old garments into new children’s clothes. 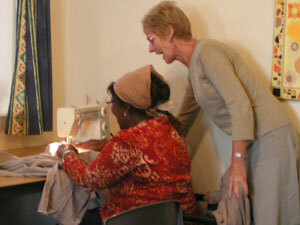 Come and use our sewing machines and get support with your own projects. £1 per session for everybody. Learn art skills in using watercolours and pastels. £31.00 for a 10 week course, or free to those on means tested benefits. We have both Jewellery and Paper and Card Craft courses coming up in 2018-19, both suitable for beginners, and free for learners on certain benefits. Please contact us for more details.